Vice President Yemi Osinbajo on yesterday survived helicopter crash in Kogi State. The Senior Special Assistant to the Vice President on Media and Publicity, Laolu Akande, confirmed the incident on his twitter handle @akandeoj. This was the second time Osinbajo would escape helicopter crash. 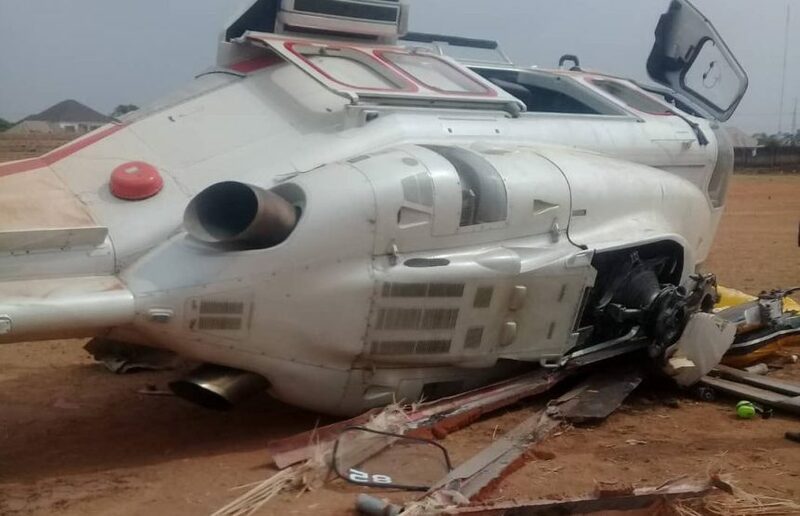 On June 7, 2018, the chopper that conveyed Osinbajo from the Nigeria Customs Command and Staff College, Gwagwalada, Abuja, was forced to land few seconds after take off. The Vice President was in the college for the graduation ceremony of the Senior Division Course1/2018 participants. Akande on his verified Twitter handle, @akandeoj, confirmed that Osinbajo was conveyed to the venue of the engagement in the same chopper. He disclosed that Osinbajo returned to the Presidential Villa by road and continued with his schedule. Meanwhile the Vice President has commended the crew of the Nigeria Air Force helicopter for managing the situation well. The Vice President tweeted on his verified official handle @ProfOsinbajo: “We are safe and sound! Thank you to everyone who has expressed concern and thank you to the crew who managed the situation well. Prominent political figures and members of the opposition Peoples Democratic Party (PDP) took to social media to register their concern and delight that the vice president survived the crash. Also in a very short reaction, the president of the Senate, Bukola Saraki, expressed gratitude to God that the vice president survived the incident. “I join all Nigerians in thanking Almighty God for sparing the life of Vice President Yemi Osinbajo, who survived a helicopter crash over Kabba, Kogi state today,” he said. Also reacting to the incident, Vice Presidential candidate of the PDP, Mr. Peter Obi, who was on campaign with the PDP Presidential candidate in Umuahia, Abia State at the time of the crash expressed gratitude to God for sparing the VP’s life as well as the lives of those in the chopper with him. The Deputy President of the Senate, Senator Ike Ekweremdu, also joined the rest of the nation in appreciating God for delivering the Vice President and his entourage, who were involved in the helicopter crash. Ekweremadu, who took to his social media handles @iamEkweremadu to comment on the incident wrote: “I received with a total sense of shock the news of the helicopter crash involving the Vice President, Prof. Yemi Osibanjo, and his entourage. The immediate past governor of Ekiti State, Ayodele Fayose, congratulated Osinbajo and thanked God for sparing the vice president. “I rejoice with VP Yemi Osinbajo and thank God for keeping him alive today. I wish him quick recovery from whatever minor injuries he could have sustained in the crash.